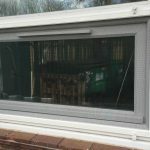 Our hinged fly screens are suitable for both Commercial and Residential windows and have been designed for ease of use and an effective fly screen solution for keeping out flies, mosquitoes, wasps, bees, midges and all other flying insects. 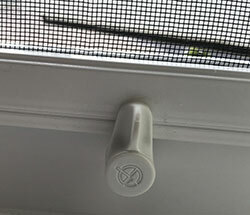 They also keep out spiders and other crawling insects and there is even an option to keep out pollen! 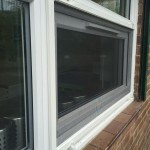 These window fly screens are easy to install and can be fitted to the existing window frame, surrounding walls or onto a sub frame within a window reveal. 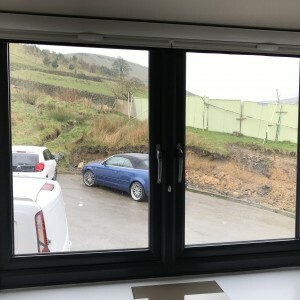 Enter the overall finished panel size required for an instant quote, the frames will come pre-cut ready to assemble – no cutting required! 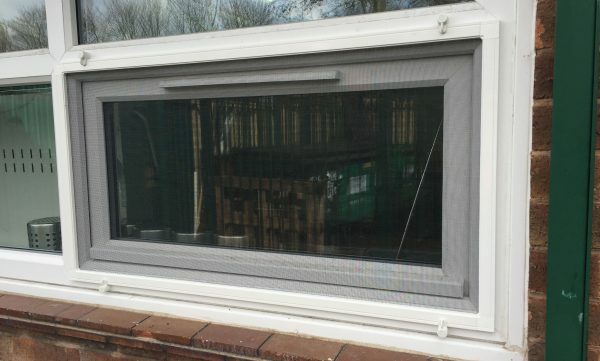 The hinged panel fly screens are supplied as pre-cut kits or we can also custom build them to your bespoke sizes. 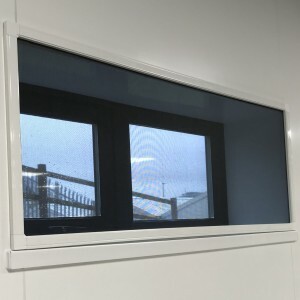 The range of panel fly screens have a 30mm extruded aluminium profile finished in a white polyester coating or, by special order, we can colour code the frames to any RAL colour you require. What will I receive in the kit? 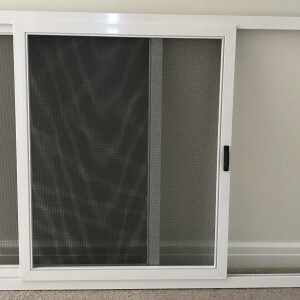 All of our hinged panel fly screen kits will come with all the components to complete one fly screen to the size ordered. 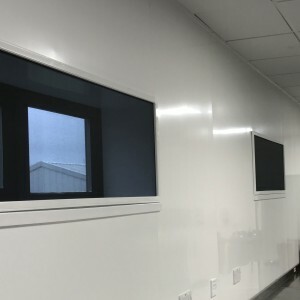 There will be four 30mm aluminium frames finished in a white polyester coating, which will be cut to your exact dimensions so you don’t have to carry out any cutting – let us carry out the cutting on our precise laser machines for a perfect finish. 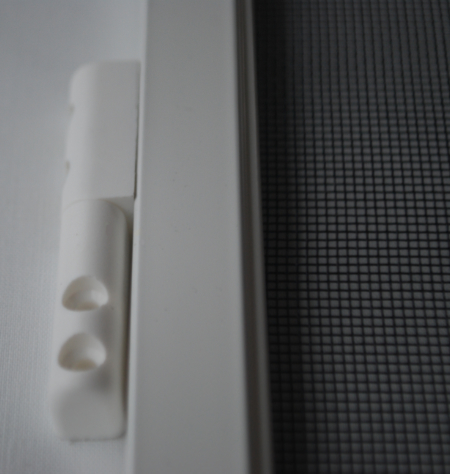 Four push in corner pieces to assemble the screen panel. 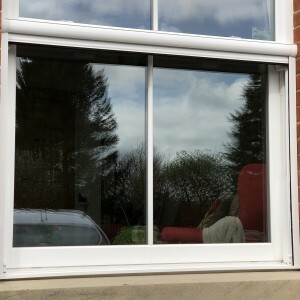 Slide on/off hinges that can be fitted on any side of the screen, and you can set the hinges so that the screens can be easily removed from your window if required. Two turn buttons to hold the fly screen panel in place, complete with screws. 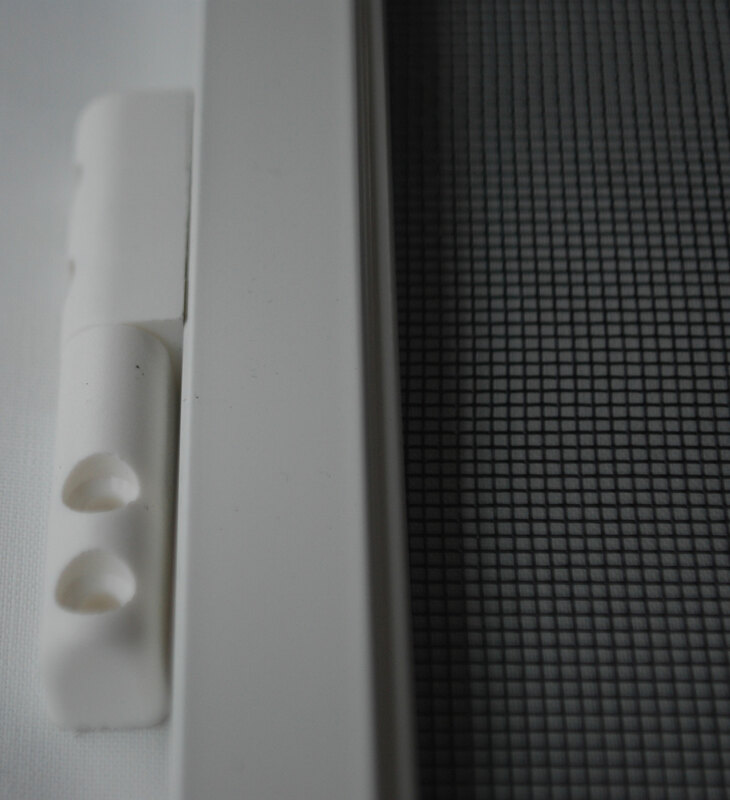 Enough mesh to complete the fly screen and a mesh insertion tool and rubber gasket to hold the mesh firmly in place. 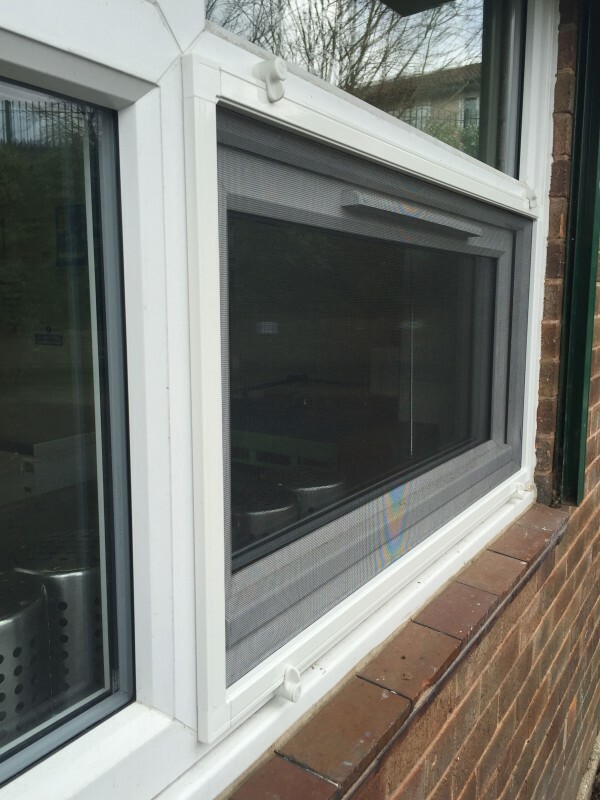 You have the choice of our four colours of fly mesh, charcoal mesh, grey mesh, sand mesh and green mesh. 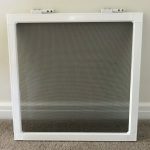 There is also a choice of pet mesh, pollen mesh and midge meshes for the smallest of flies, all of which are easily cleaned by simply vacuuming. 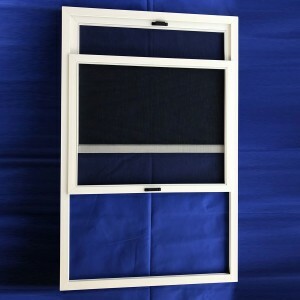 The kits are available in any size you require and are pre-cut to your ordered dimensions, no messing around with hacksaws, just simply open the package and assemble the screen. 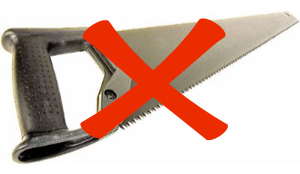 However if you would prefer to cut them yourself just order an oversized screen. 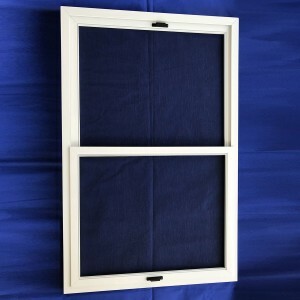 Heavy duty turn buttons that simply pivot to hold the fly screen in place against the window frame. 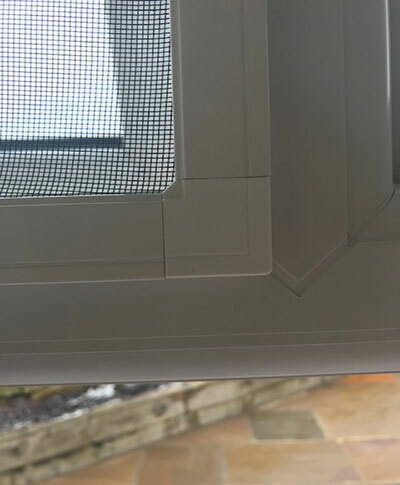 The insect screen against the window frame with the charcoal mesh. 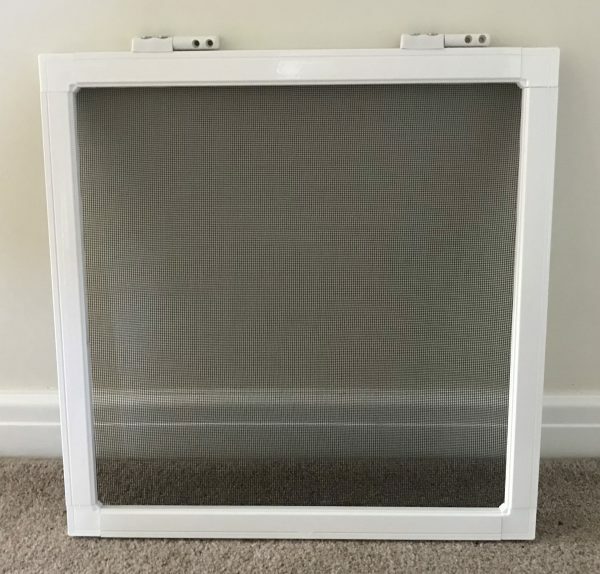 There is a choice of our standard mosquito mesh which is sufficient to keep out most types of flies, wasps, bees, spiders etc and then we have the midge mesh which will keep out smaller, as well as the larger flies. 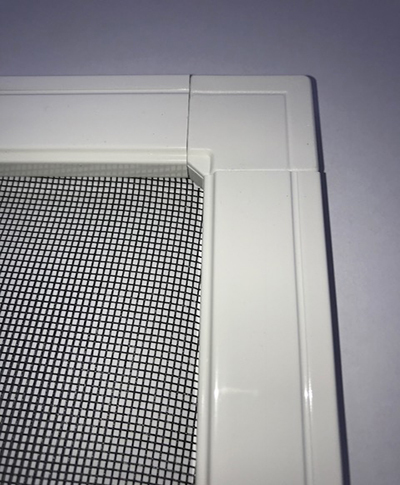 The midge mesh will reduce airflow more than the standard mesh and is more visible as the holes are smaller, so if you don't have a specific problem with midges then the mosquito mesh would be best. 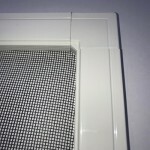 There is also a choice of pet mesh which have a stronger weave to help protect against pet claws. 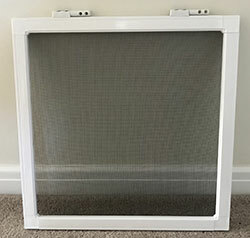 Our sliding fly screen ranges now come with Sunox mesh as standard which is naturally antibacterial. 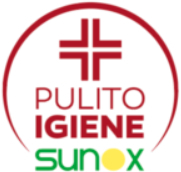 Sunox mesh filters the air, preventing the formation of germs and bacteria and reducing the presence of polluting particles in the air. 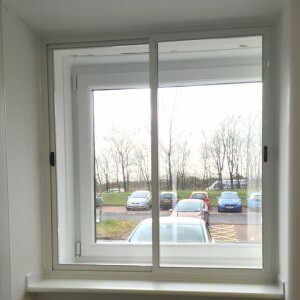 All of our screens come pre cut to your ordered dimensions, no need to reach for the saw!